It is almost like Mamma is starting to sniff out all of these brilliant little and HIDDEN playspaces, packed with such great goodies. 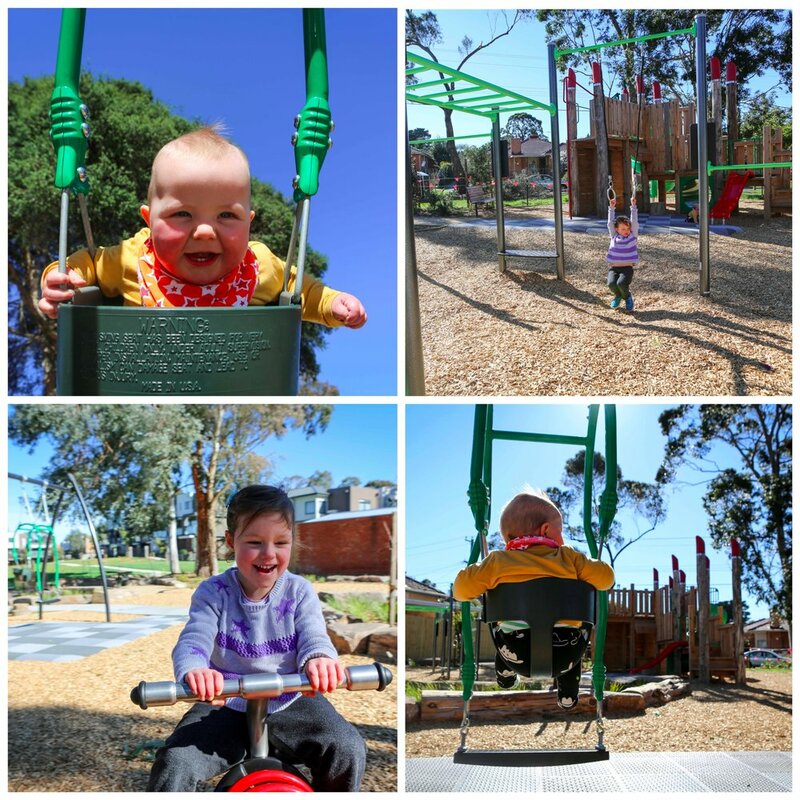 Samada Street Reserve in Notting Hill has a fantastic little playground with ALL of Mamma's favourites. The main structure is a solid wooden fort, with plenty of options for climbing, sliding and traversing around and complete with its own cafe. There is soft-spongy-slash-mesh flooring, making it great for crawlers and less tanbark to consume. The spinning sea-saw rocker is a hit and a bit of a surprise the first time you give it a go. There's the birds nest swing and a stack of fitness equipment making the space great for the entire family. But at the end of the day, Mamma's favourite feature - undeniably too - is the expression swing. When you have little ones under the age of one, who are not moving a whole heap or teetering around on their toes just yet, getting them up into a swing is the BEST, especially when you can join in too. Their faces are irresistible and the joy is infectious. Plus it stops them eating tan bark for at least 5 minutes! Mamma’s special mentions: Mamma's go-to cafe and gift shop combo when in Notting Hill is Inchmeal Cafe. Another hidden treasure in the neighbourhood is just at the end of the road!